Smitty Bietila (2008 – 2013, returned in 2017) Kale, the gift that keeps on giving all summer long. Jory Carlin (2014) Carrots because they are delicious. Jon Fagan (2013) Crenshaw melons. Jon loves crenshaw melons because they are delicate, ephemeral, sweet and delicious. They are very difficult to grow in Wisconsin so we only get a few each year. Charlotte Hammond (2016) “Watermelons because our watermelons are the best on the planet. I can eat a whole watermelon every day during melon season. If I ever have my own farm, it’s gonna be a watermelon farm.” It’s also her favorite crop to harvest. Charlotte is on Steve’s melon harvest crew because she’s very strong and can catch. Out of season, Charlotte stays in shape with a ‘watermelon chair’ exercise routine, using a Roman chair at her gym (google it for photos). She works with 20+ lb weights to mimic picking up and stacking melons. Maggie Schley (1999?) Maggie loves cucumbers because she loves pickles and salt and fermentation. Tipi carrots are a big part of Maggie’s life. They were pictured on her wedding invitation. She has lots of carrot jewelry. Everyone on the farm saves ‘lover carrots’ for Maggie; carrots that have grown together in a spiral. Maggie is always on the carrot harvest crew. Dana Teske (2015) Sweet corn. It’s her favorite to harvest and favorite to eat. Jim Walker (2016) Rhubarb. He likes the fact that you can make dessert from a vegetable with mildly poisonous leaves. (Actually, it’s a petiole.) Also, it reminds him of home because rhubarb grew at all the houses where he grew up. Jory (center) helped re-insulate and re-cover our cooler roofs last year. Billy shows off some ‘farm bling’ he unearthed in a field. We find all kinds of things. From left, Maggie and Charlotte retrieve an old tractor tire from the farm. It weighs 284 lbs. They took it to Charlotte’s farm for strength training, where they train by flipping the tire. These are two strong women. Kristin in an untilled area of our farm. I want to establish prairie plantings and Kristin is helping me figure out how to do it. She’s worked in prairie restoration for years and has deep knowledge about prairie management. Kelcie and Billy harvest Brussels sprouts two falls ago. From left, Kelcie and Dana weed carrots. Jim stacks watermelons at harvest. Next week’s box will probably contain some type of greens, carrots, Walla Walla onion, zucchini, basil, fresh garlic and more. Snap peas – We harvested two varieties this week. One has strings, the other is stringless. You’ll just have to figure out which one(s) you receive. Kohlrabi (round, pale green) – See our June 15 newsletter for info on kohlrabi. Walla Walla onion – Yeah for the first Walla Wallas! These are sweet onions, crisp and very mild. Wonderful raw or lightly cooked. Try cutting into wedges, threading on a skewer and grilling. Do not try to fry these onions – it doesn’t work because of their high water content. Storage: It’s OK to store at room temperature for up to one week. Otherwise, refrigerate. Basil (curly-leaved sprig) – Almost everyone receives the ‘Napoletano’ variety this week. The leaves are larger and more frilly than most basils. We like this variety because it remains tender and flavorful even as the plants mature. Storage: Basil will blacken if stored in the refrigerator. It is best stored at room temperature with the cut ends in water, for example in a jar or vase. Treat it like a flower. Give the stem a fresh trim. You will receive one sturdy sprig this week. ‘Salanova’ lettuce – This is a new innovation in lettuce breeding that lets you prepare salad mix easily. It also has nice flavor and texture, even during the summer when it’s otherwise difficult to grow lettuce. Cut the head across the base and it will fall apart into individual leaves. Dunk and swish in a tub of water. Drain and spin dry to store. We’re pleased with the new ‘Salanova’ lettuce variety. Cut the lettuce head at the base and it falls apart into salad mix. Isn’t that great?! You’ll get either red Salanova or green Salanova this week. Visit our Recipe Log, a list of all our 2017 recipes. We’ve already accumulated several zucchini recipes over the past two weeks. Pad thai is a quick easy meal, but it does require quite a bit of slicing and dicing. Get all your vegetables prepped before you start as things will move very quickly once you begin cooking. Lauren. In a large stock pot bring enough water to cover the noodles to a boil. Pour over noodles and let stand for 7 minutes. Drain noodles, return to bowl and toss with 1 tablespoon peanut oil. Meanwhile, in a small sauce pan combine tamarind paste (or substitutions), fish sauce, honey, rice wine vinegar, soy sauce and red pepper flakes. Whisk to combine and then heat over medium heat until sugar and honey dissolve. Remove from heat. In a large skillet, heat remaining oil over medium heat. Add onion and garlic if using. Saute for 3-5 minutes until fragrant and soft. Add eggs and scramble gently. Once eggs are most cooked add the broccoli. Continue sauteing and cooking the eggs for 5 minutes until broccoli is bright green. Add noodles, zucchini, summer squash and sauce. Stir to combine then cook for 2 minutes until everything is warm and zucchini is just barely cooked. Stir in 1/2 cup peanuts just before serving. Serve warm with peanuts, snap peas, basil and lime wedges. I always thought I couldn’t eat fennel raw until I shaved it real thin and paired it with some apple and a light homemade vinaigrette. Something about this simple salad transformed the way I looked at fennel. Now I love to eat raw fennel as a side to something real rich and hearty (like a grilled steak or porkchop). This recipe takes things a bit further pairing fennel with crunchy kohlrabi and onion alongside some walnuts and blue cheese. Together it makes for a powerhouse dish. PS Feel free to sub feta for blue cheese if you are a real blue cheese hater. It won’t make much of a difference. Lauren. In a large bowl wisk together the vinegar, honey, mustard, celery seeds, salt and pepper. Slowly whisk in the oil until well combined. Add all the thinly sliced vegetables (and fruit!) to the bowl and toss well to combine. Divide between plates and top with toasted walnuts, crumbled blue cheese and a few fennel fronts. Season to taste with additional salt and pepper if need be. Lauren, you have outdone yourself again! I made the fennel & kohlrabi slaw/salad the other day, FULLY expecting to dislike raw fennel, and came away surprised and very pleased! Tonight we had the pad thai, and although I wasn’t sure on the quantities of fish sauce and honey (the missing unit is cups! ), the meal turned out fantastic! I prefer a little more heat, so some sriracha finished off the dish nicely. Kudos to Tipi and the team for providing such fresh and vibrant veggies, including some things I would never have tried if not for you! 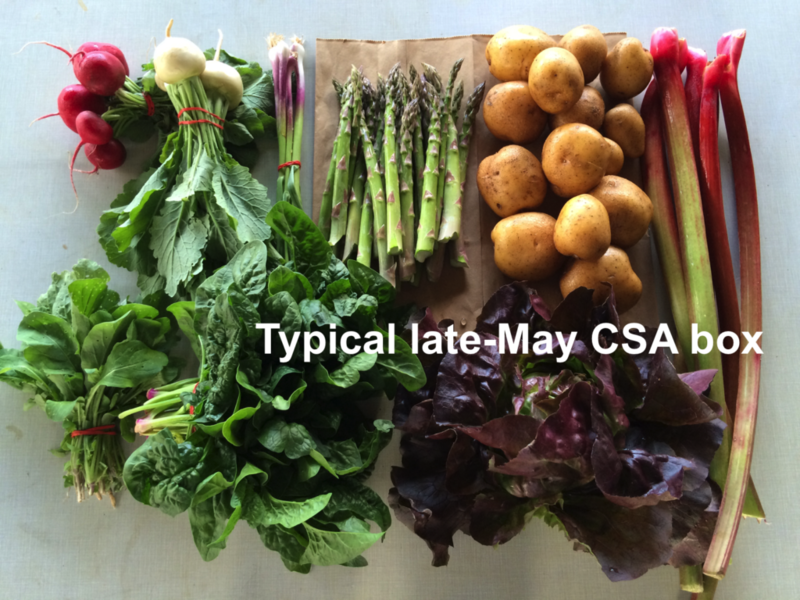 I’m so glad to be a part of this CSA! Thank you!